There is a terrace with seating for two off of the comfortable living room and full kitchen. This space has air conditioning as well. The condo development offers a lovely shared swimming pool, garden area and palapa, with plenty of parking. 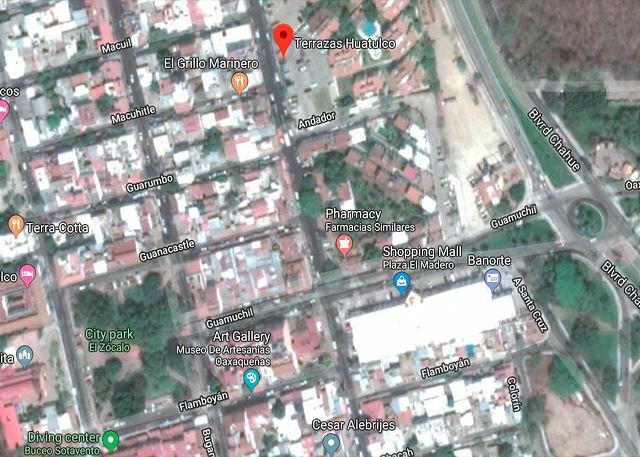 A quick, three minute, walk to La Crucecita’s downtown, you can enjoy the main square with its shops, restaurants and bars. Close to grocery stores, a movie theatre, art gallery and pharmacy, you’ll have more than enough amenities within reach. 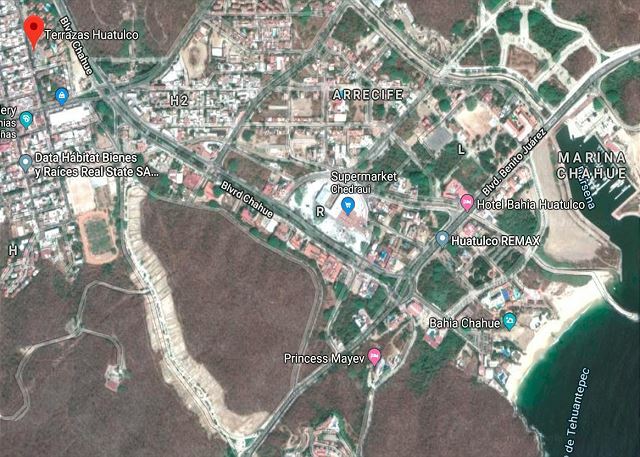 Take a pleasant 20 minute stroll to Santa Cruz through the lovely Tourist Corridor walking and cycling paths and do some shopping, enjoy a cocktail on the beach or watch the cruise ship come into the bay. Chahue beach is a short 5 minute taxi ride from the condo, or a 20 minute walk. Everything is close and convenient and easily accessible.